Fuad al Muqtadir is a popular Bangladeshi composer. He is also known as New York Fuad. Mixing different genres of music and creating a sound that is unmatched. Fuad left Bangladesh for the USA in 1988 at the age of eight and started junior high school there. He was always on and off at the music and finally formed the band Zefyr in 1993 with Richard Modhu, Himel, Shumon and Fred. 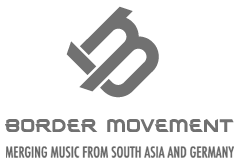 They recorded several tracks and before disbanding in 1999, released the albums Maya 1 and 2, which became overnight hits within the New York resident Bangladeshi community. His first record, drifting away from his niche target group, was Re/Evolution. With the help of Sohel Aziz, keyboardist from the band Obscure, the album came out in collaboration with plenty of mainstream and underground musicians featuring 14 tracks with some great remixes and originals. Litu’s “Sylhoti”, Anila Naz Chowdhury’s “Jhilmil”, Armeen’s “Bhromor Koiyo” and the re-mixed track, “Mon Chaile Mon” which all became instant hits. This was a huge success and came out as one of the best selling albums of 2005.